Few synthesizers had such an impact on modern dance music as the Roland JP-8000, which was the first synthesizer that introduced the Supersaw waveform. The JP8K Legends sound expansion is a collection of 150 new sounds for the Spectrasonics Omnisphere aimed for modern dance music. for ever: the roland jp-8000. The soundset is divided into two parts. The first part is a collection of 100 presets all using the JP-8000 oscillators in Omnisphere - which quickly turned into a real challenge, since Omnisphere only contain two different flavor of the JP-8000: one typical Supersaw and one dark string-sound. Thanks to the vast capabilities in Omnisphere we twisted and turned the oscillators until we had 100 arpeggios, basses, plucks and pads. For the second part of the soundset - we took 50 of our favorite presets and changed the JP-8000 samples into the excellent virtual analog oscillators in Omnisphere. JP8K Legends is a part of our Trinity bundle, in which you get three of our best selling sound sets for the price of two. You can read more about the Trinity bundle here. 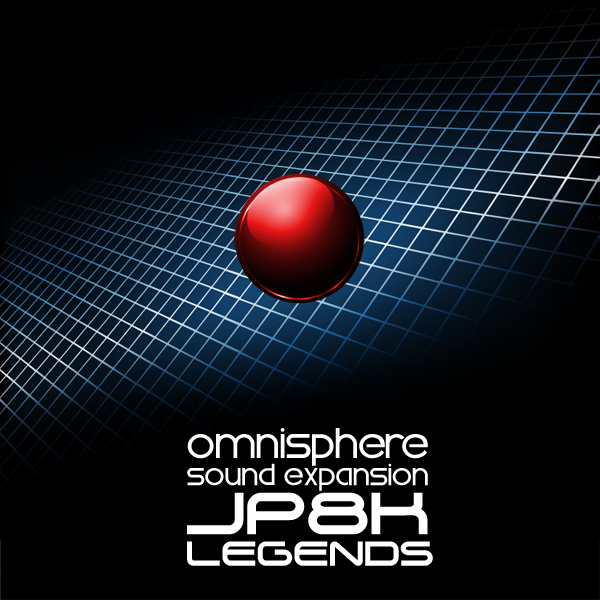 IMPORTANT - JP8K Legends for Omnisphere is a soundset for the Spectrasonics Omnisphere synthesizer. This product requires a fully working copy of Omnisphere to work. This is not a sample set. Please check out the FAQ before buying.